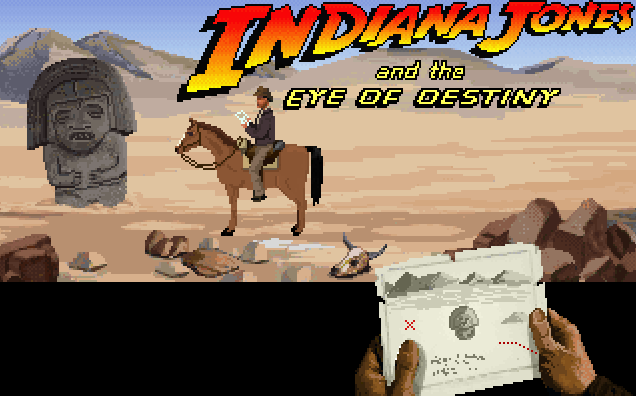 Indiana Jones and the eye of destiny is a frewere fan-made short game. During reforms at the university, Jones is temporarily transferred to the office of Professor Jack Smith, dean of the university nicknamed -Jack One Eye- because he lost his left eye in the great war. Jack disappeared years ago. While putting his things in order, Jones discovered in one of the drawers, a secret compartment containing a dusty manuscript diary, describing the existence of an ancient gem known as the eye of destiny. The diary explained that "the eye" gives the gift of clairvoyance and gave the power to reveal hidden information about people, objects, places and physical events. Indy decides to investigate and discovers in the university library some old manuscripts along with a map with annotations of Jack that could support the idea that the diary might not be entirely an invention. This map pointed to a specific place. After obtaining funding from the university, Indiana Jones embarks on a new adventure. Please update with two in-game screenshots. love Indy and the story seems intriguing! Good luck! Looks cool! All the best with development. 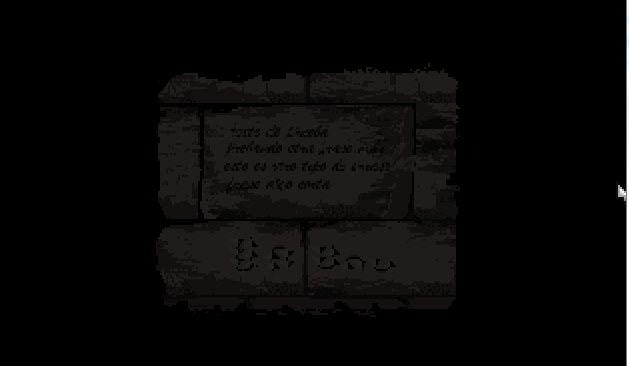 The story opening sounds very professionally conceived and a nice smooth call to adventure. Looking great! Always need more Indy! Looks amazing, the intro really captures the adventure spirit of Indiana Jones! Wow, it looks and sounds very good!! Hey, are you the person behind "Raiders of the lost ark" adventure? I played your demo sometime ago and it was very interesting seeing this adaptation!! I am looking forward both of them!! Yes, I am one of the group working on ROTLA, the project is still alive, but it is progressing slowly, now I am finishing Tanis section backgrounds and animations as you can see in that image. Eye os Destiny is presonal project, less ambitious and short just for fun. Right now I'm in a work environment where the firewall blocks the images. And I'm literally dying. DYING. I WANT TO SEE THOSE IMAGES!!#@?%%@#~!!! You think this is a game? You think this is a sick joke? PS : quo_sp I'm delighted to see you re-appear. 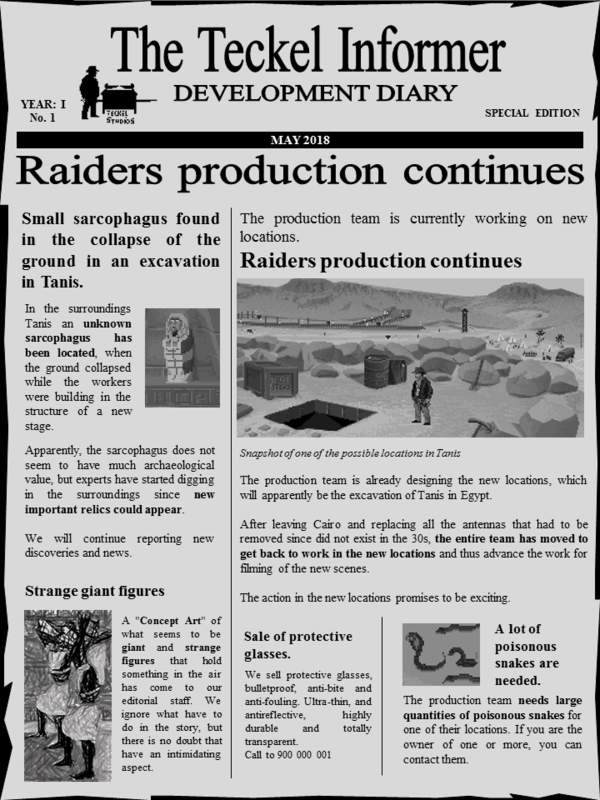 Remember those messages I sent you on Facebook about backuping the "Raiders" game files? 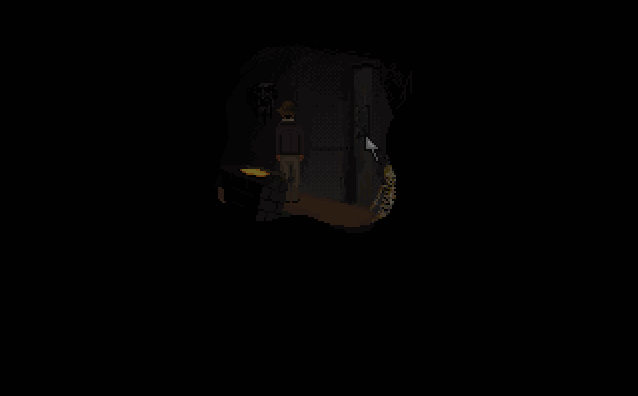 I was terrified that you would simply disappear from the Internet, taking with you the unfinished game. Many of those modules were made by talented people outside of our team, BUT we're doing good at the moment, progress--wise. However I'm super jealous of your genuine 8-bit pixel art skills. I learnt to draw on computer with Deluxe Paint II so your speed paint video makes me feel nostalgic. Hopefully we might even see the return of that classic line "I'm selling these fine leather jackets." It's a crowd-pleaser, what can I say? Ugh...please...no. As Stupot has pointed out before: AGS games are already kind of infamous for bad-references-to-classic-games "jokes". Please ignore such temptation. Make your game uniquely yours! The players will respect it a lot more. While I agree in general, this is an Indiana Jones game, and the leather jacket line is almost a requirement.